Tom is the Associate Director of Research Administration for the Aquarius Reef Base. He’s been with the program since it relocated from St. Croix, USVI to the University or North Carolina Wilmington in 1990. Upon graduating in 1991 with a masters in Science in Marine Biology from UNCW, he relocated to Key Largo, FL, to help launch Aquarius Undersea Laboratory and its associated science program. 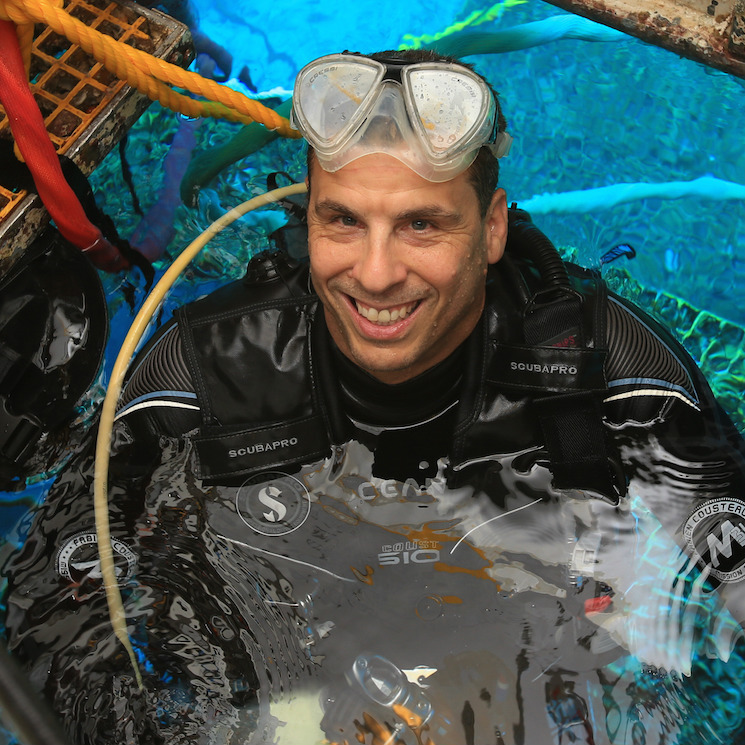 He was and aquanaut on the second saturation mission of Aquarius’ redeployment on Conch Reef. He moved back to North Carolina in 1993 to expand NOAA’s National Undersea Research Center’s unmanned undersea vehicle and advanced diving technology programs. During this time, he also began teaching in UNCW’s Department of Environmental Studies and served as the science coordinator for the Gray’s Reef National Marine Sanctuary in Savannah, GA, for five years. In January 2010, Tom began focusing his efforts on leading the next-generation Aquarius Reef Base and has overseen the transition of the program to Florida International University. Tom is a certified IANTD Trimix technical diver, NAUI dive instructor, Nitrox divemaster, NOAA saturation diver, and Deep Worker single-person submersible pilot. He has a number of science and popular literature publications, including authoring a chapter on manned submersibles and saturation diving in university-level textbook, Underwater Research.